Each chapter provides a plethora of practical tools, templates, and strategies for a variety of subject areas developed by and for real teachers. 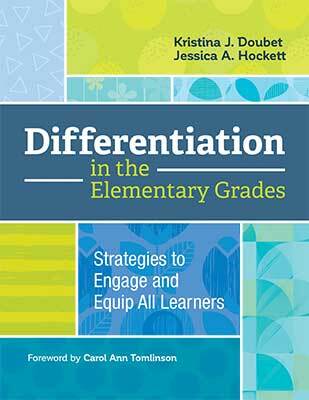 Whether you're new to differentiated instruction or looking to expand your repertoire of its strategies, Differentiation in the Elementary Grades will show you classroom-tested ways to better engage students and help them succeed every day. Includes URL and password for free downloadable forms. Kristina Doubet is a professor in the College of Education at James Madison University in Harrisonburg, Virginia, where she has received the Distinguished Teacher Award, the Madison Scholar Award, and the Sarah Miller Luck Endowed Professorship for Excellence in Education. Jessica Hockett has been a full-time education consultant for 12 years, specializing in interactive and differentiated instruction, standards-aligned curriculum and performance task design, classroom grouping practices, and program evaluation.